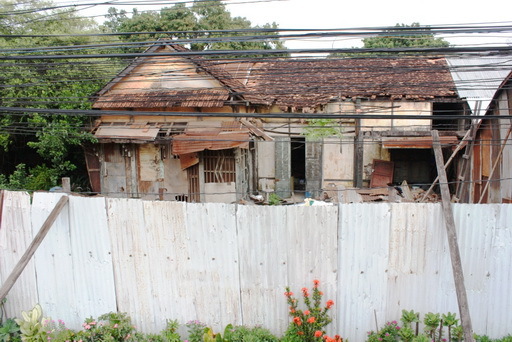 The building above is an old French Army building, perhaps the last one in Vientiane. This, with some outbuildings that are still standing, was the Cercle des Officiers, the Officer's Club. AHL has learned that it will soon be torn down and replaced by a high rise hotel. We would like to prevent this loss. If you live outside Laos and would like to help, please write to Allison at the email address below. If you live in Laos, please speak to your ambassador or cultural attaché about this impending loss and phone Allison to see what else can be done locally.